I stumbled on to the Bridal Musings blog and totally geeked out! OK, so I know that this post doesn’t involve stationary but since it’s Halloween I just had to post it. 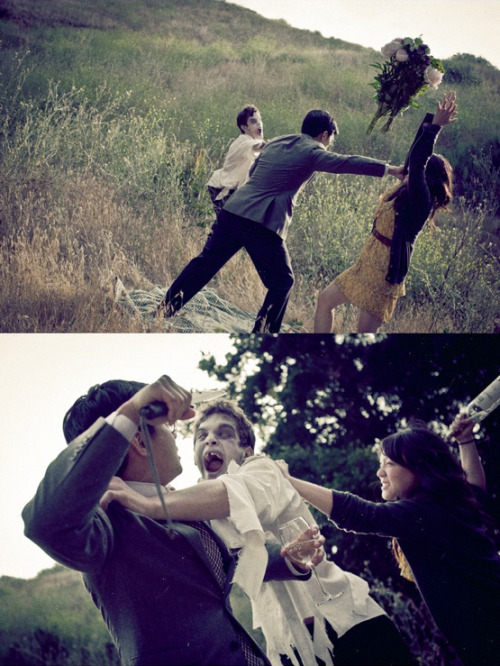 This couple chose to do a zombie attack engagement photo shoot! So original and perfectly shot by Amanda Ryna. We really love working on projects that pull the client’s personalities into the project – so our word of advise is not to be afraid to ask your vendors for something really unusual. Chances are the professionals that you choose to work with will not only happily oblige, they’ll actually be inspired by your inventiveness.